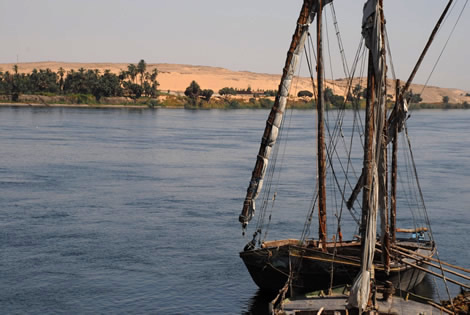 Crossing into Egypt from Sudan was always going to be a let down in many ways. 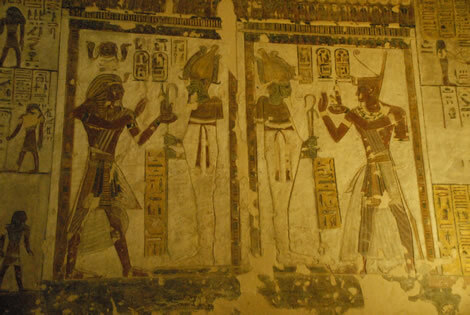 The genuine kindness and hospitality of the Sudanese people, especially the Nubians between Khartoum and Wadi Halfa, would certainly be a hard act to beat. But nothing prepared me for just how awful many Egyptians are towards foreigners. Unfortunately riding a bike one is limited to either traveling along the Nile valley (the major towns of which are very touristy), the Red Sea road (which is just one disastrous development project after another), or the Western Oases - probably the safest bet if you actually want to meet normal, decent Egyptians. But not having enough time to take the 360 km detour through the western desert I have so far been confined to the Nile Valley where I'm sorry to say that my impression of the locals has not been great. Their minds are for the most part twisted by money, greed and how much they think they can squeeze out of you for the smallest thing. And since they've been hassling tourists for 2,000 odds years they're pretty good at it. The places of antiquity are fantastic of course, but I can't see myself coming back to this country in a hurry on account of the irritation factor. There are, as always, the exceptions. 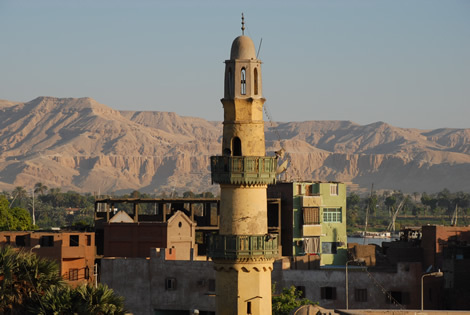 And outside of the tourist towns and in the smaller villages there are of course thousands of decent Egyptians as good natured and well meaning as the next person. The problem though is that only a tiny minority of foreigners ever get to meet them. The police are still so paranoid about tourists being targeted by terrorists (since the Luxor killings in 1997) and the country's tourism industry taking another dive that most if not all of the smaller, more interesting towns and villages are still forbidden to visitors. Tourists are instead herded onto air conditioned buses and carted to the next 'safe town' in one of two armed convoys that travel up and down the Nile Valley each day. My ride thus far from Aswan has meant riding through at least 10 police checkpoints whose job it is to prevent individual travel by foreigners. My method of dealing with them until now seems to be working: I just put my head down and keep riding no matter how hard they scream and shout at me. The bottom line is that they're not going to shoot me (their whole raison d'etre is to protect tourists) and so far they've either been too lazy or confused to actually come after me. But who knows, maybe I've been lucky. I've read stories of many other cyclists who were forced to take a ride on a bus or in a truck. However the hassle factor is enough for me to take a right turn here in Qus and head for the Red Sea road where I believe there should be fewer checkpoints. 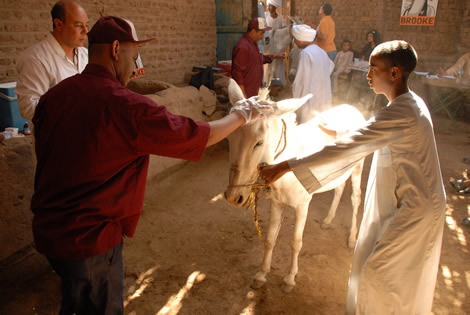 Next update tomorrow on a visit to the Brooke Hospital for equines - very much the highlight of my time in Egypt so far.